Kane’s third-minute opening goal is the fifth successive New Year’s Day he has scored in the Premier League, equalling a record held by Andy Cole and Steven Gerrard. Christian Eriksen and Son Heung-Min added further goals as Spurs had the win wrapped up before half-time and reclaimed second place, a point above Manchester City, and six behind leaders Liverpool. 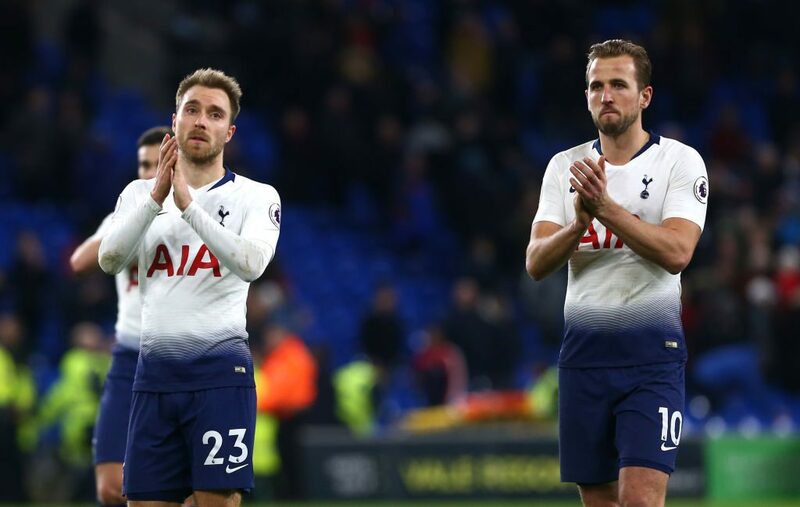 This performance marked Mauricio Pochettino’s side out as still being live title contenders and a stark contrast to the limp way they lost to another promoted side Wolverhampton Wanderers at home on Saturday. They toyed with Cardiff at times, and the third goal killed the game, with the ‘Ole’ chants going up from the visiting fans after half an hour. Cardiff’s poor record against the top teams continued, losing their last 15 Premier League matches against the ‘big six’ sides, conceding 45 goals. The Bluebirds had picked up four points from their last two games and recorded back-to-back clean sheets after leaking five to Manchester United in their previous home game, but any hopes of making it three quickly disappeared. Kane’s goal came off his shin, deflecting in a loose ball from a terrible touch from Cardiff captain Sean Morrison after Kieran Trippier’s cross from the right initially hit the England captain. The England striker has now scored 16 goals in his last 12 Premier League away matches against newly-promoted teams. Spurs made it 2-0 after just 12 minutes with a classy goal from Eriksen. The Danish midfielder bought himself time and space by dummying Bruno Ecuele Manga and Harry Arter before picking his spot from the edge of the box to top off an impressive move involving Moussa Sissoko and Son. 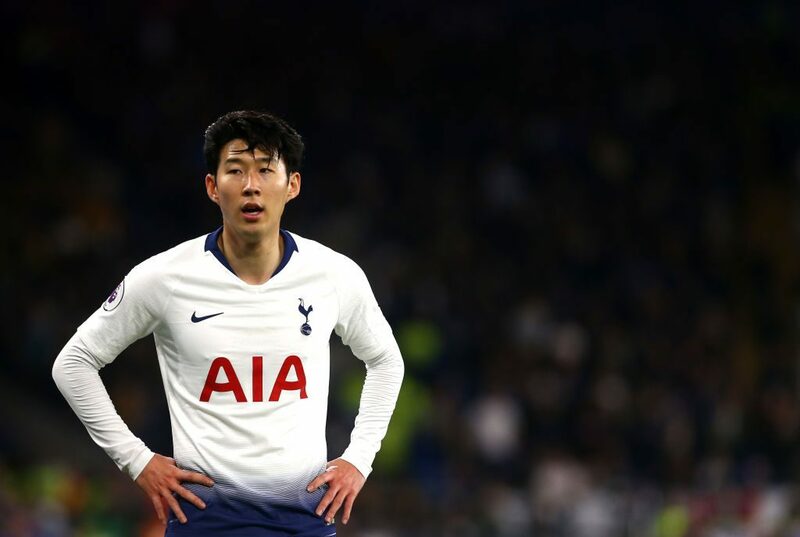 Son made it 3-0 with another stylish finish, the South Korean delaying his shot from Kane’s short pass while Morrison dallied before steering an acute-angled drive across Neil Etheridge and into the far bottom corner for his 11th goal of the season, all scored in the last 16 games. The arrival of Junior Hoilett as a half-time substitute at least ensured Cardiff gave Spurs something to think about in the second half. The winger forced two saves from Hugo Lloris, first with a far post header which brought a diving stop and later with a cross that was tipped over. Cardiff suffered more problems in the 59th minute when Victor Camarasa — scorer of a superb winner against Leicester on Saturday — limped off injured to be replaced by Joe Ralls. Spurs on the other hand looked full of goals and Kane threatened again just after the hour when he flashed an angled, rising drive wide following a pass from Dele Alli. Then Son was denied by Etheridge after Kane put him through on goal. Cardiff never gave up and Lloris smothered a header from Aron Gunnarssson, but there was no doubting Spurs’ superior quality.